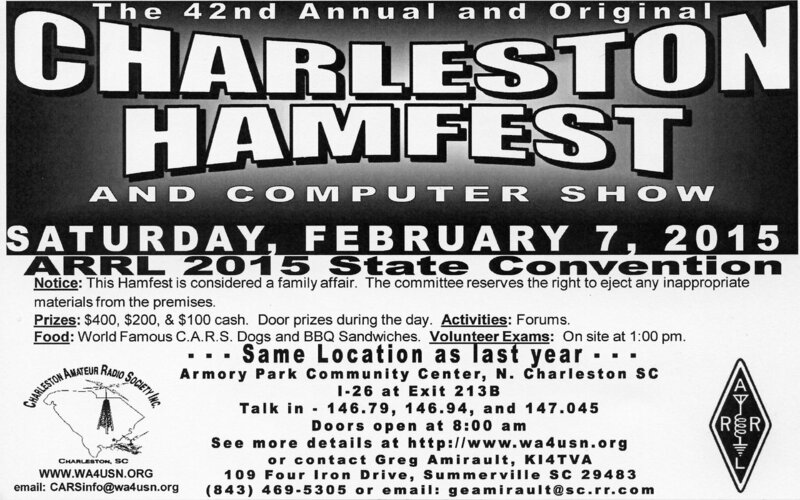 Preparations are under way for the 2015 Charleston Hamfest. As usual, it’s scheduled for the first Saturday in February and will be at the same location as last year in North Charleston. Door prizes, forums, VE exams, and all the normal fun things you expect at a hamfest. It’s not a large hamfest, but I’ve enjoyed going to the last few and being able to meet other hams. I’ve also managed to score a few decent deals too. Looking forward to this next one.